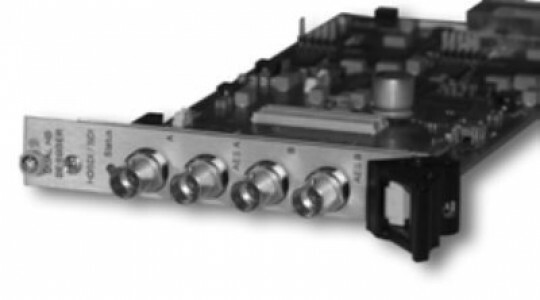 The Appear TV ASI out module is design for connectivity to legacy or third party processing not connectible via Gigabit Ethernet. The module has 4 ASI ports each with a maximum of throughput 213Mbps. The AppearTV ASI output module has all the same re-multiplexing and PID filtering features of the other output modules. Allowing connectivity of legacy devices such as modulators, IP bridges, encryption or stream recording devices to the AppearTV platform. The 4 ASI outputs fit in a single module width, permitting very high density system builds. The combination of a wide range of input interfaces, descrambling, re-scrambling and advanced re-multiplexing functionality makes the AppearTV system ideal for new and existing cable, terrestrial, broadband and satellite operators. The Appear TV solution can be seamlessly integrated with existing head-end solutions or used as a regional multiplexer. With a comprehensive SNMP Alarm MIB and SOAP/XML interface the multiplexer can be integrated into an existing management systems, making the overall system suitable for use in contribution links.